Whether we speak of queer bodies targeted for harassment, queer sensibilities derided as dangerous, or queer intimacies denied legitimacy, we acknowledge a close companionship between queerness and precariousness. Queerness remains continuously under threat; these threats to survival can be immediate, as in the AIDS crises, or more subtle and entrenched. Many queer lives thus end prematurely and drastically-but not all end in the physical expiration of life. Some terminate gradually and even unconsciously in the countless concessions to normativity demanded by dominant cultures that perceive, through a perverse set of projective identifications, their own survival as imperiled by queerness. The Modernist Art of Queer Survival explores an archive of modernist archive of modernist literature that conceives survival as a collective enterprise linking lives across boundaries of race, time, class, species, gender, and sexuality. 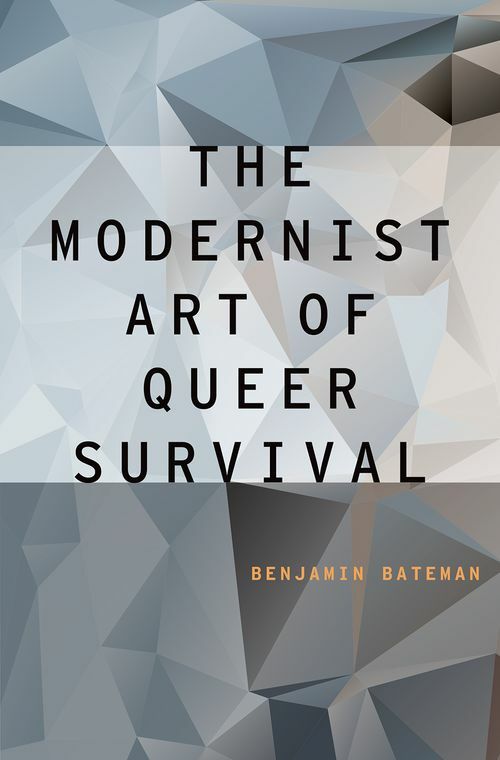 As social Darwinism promoted a selfish, competitive, and combatively individualistic understanding of survival, the five modernists examined in The Modernist Art of Queer Survival countered by imagining how postures of precarity, vulnerability, humility, and receptivity can breed pleasurably and ecologically sustainable modes of interdependent survival. These modes prove particularly vital and appealing to queer bodies, desires, and intimacies deemed unfit, abnormal, or unproductive by heterosexist ideologies. Authors and texts discussed include Henry James's "The Beast in the Jungle," Oscar Wilde's De Profundis, E.M. Forster's Howards End and A Passage to India, and Willa Cather's "Consequences" and Lucy Gayheart. Benjamin Bateman teaches modern and contemporary literature and gender and sexuality studies at California State University, Los Angeles.